This final chapter of summertime is such a magical time of year. I really make a conscious attempt to soak up the last of the sunshine and longer days, veggies and herbs and flowers growing in my garden, ice cream dates with my little ones, and the effortless, laid back clothing I enjoy so much this time of year. I've mentioned this before, but as summer transitions into fall, I really look for clothing pieces that I can wear now and into the next season (and beyond). And that's one (of many) reasons I love Gaia Conceptions so much. 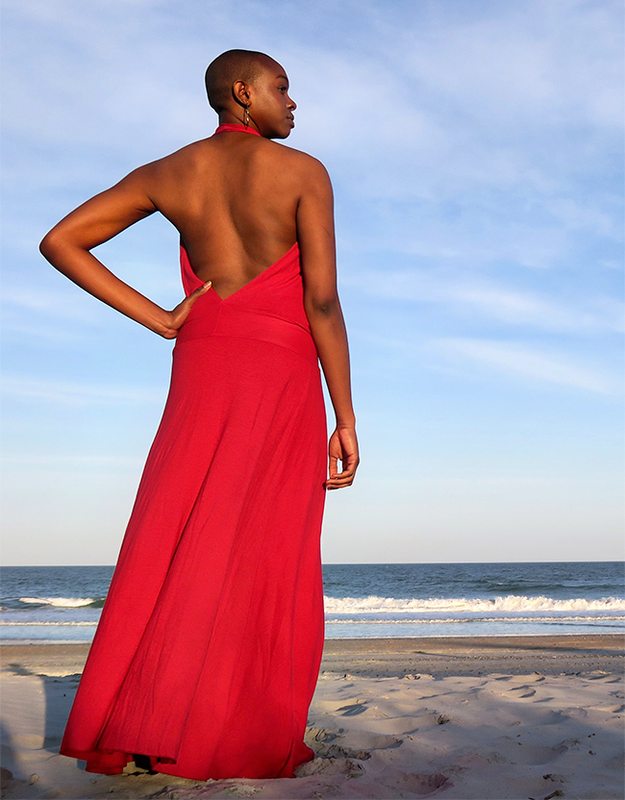 They offer hundreds of made-to-order styles crafted from eco-friendly fabrics that are made to wear year round. And each piece is made by hand in your size and color choice, right here in the USA. This giveaway will run through this Monday (August 13, 2018), and is open to Bubby and Bean readers worldwide. All entries from the Rafflecopter form above and Instagram will be combined. A winner will be randomly chosen via Random.org and announced here shortly after the end of the giveaway. UPDATE: Congrats Reade/growingwildlings on Instagram. Please look out for an email. I love all of the Love Me Two Times stuff! So pretty and practical! I love the new apron wrap wanderer design! My favourite item is the Ritual Simplicity Jumper. Looks so breezy and comfy! The Ewok tunic is cute. 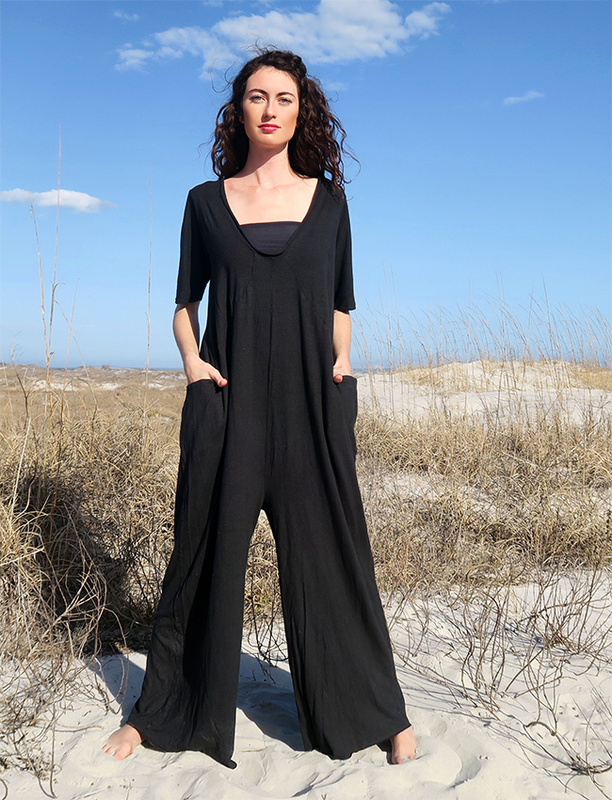 I love the Goddess Simplicity Gaucho Jumper!! I really like the Perfect Pockets Simplicity Pedal Pushers. My favorite item is the Flip V Aphrodite Shirt Cape. It's actually really cute and can go over anything! Love the Chunky Cowl Priestess Sleeve Simplicity Bralette! My favorite item is the Prairie Button Front Simplicity Shirt, in Sapphire. I love the Adjustable Strap Built in Bra Ojai Below Knee Dress! I really like the Drawstring Collar Simplicity Tunic. I really love the paperboy short skirt in pink. There are some gorgeous clothes! I like the Flip V Aphrodite Long Cape. Gypsy Indigo Shibori Block Resist Below Knee Kaftan. My favourite item is the Apron Wrap Long BLOCK PRINTED Dress. My favourite is the Ritual Origami Tunic. So comfy looking! I love the Ritual Origami Bermuda Jumper. These clothes look so comfy! I love this one, "Slip Bell Sleeve Simplicity Cropped Shirt". It's so feminine and pretty. The Ritual Simplicity Pedal Jumper is my favorite item. I really like the Hampi Simplicity Shirt on the Gaia Conceptions site. I love all the natural plant dye colors too. I just love the Hooded Wanderer Belted Shirt Cardigan...thanks for the wonderful giveaway. My favorite item is the Racerback Babydoll Long Dress. My favorite is the Kimono Wrap Simplicity Cropped Shirt. I really like the Twist Collar Babydoll Long Dress. I love the velour scarf, so many adorable items to pick from!! The Ritual Ojai Bermuda Jumper is my fav! I love the Float Neck Simplicity Below Knee Dress!